The first wave of free agency ended last week and the second wave is now just barely a ripple. 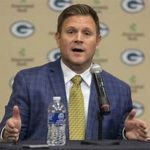 New general manager Brian Gutekunst vowed to be aggressive in acquiring veteran players, and he’s lived up to his word. As of today, the Packers have traded for quarterback DeShone Kizer and signed tight end Jimmy Graham, defensive lineman Muhammad Wilkerson and cornerback Tramon Williams. Even with Gutekunst’s recent flurry of activity, there are still more holes on the roster than there were at this time a year ago. Last March, the major areas of concern were right guard, edge rusher, inside linebacker, and corner. The major areas of concern this year are backup quarterback, wide receiver, right tackle, right guard (again), edge rusher (again), and corner (again). How Gutekunst will go about fixing all of these problems in the next few months remains to be seen. BACKUP QUARTERBACK – This was also a major problem a year ago, only the Packers didn’t know it. Brett Hundley was unprepared to step in when Aaron Rodgers got hurt in week 6. Are we now supposed to believe that DaShone Kizer will be a better option? The same Kizer who didn’t win enough at Notre Dame or at all in Cleveland? And are we now supposed to believe that Mike McCarthy will be able to develop him in five months – something he was unable to do in three years with Hundley? It seemed a no-brainer that Gutekunst would add a veteran quarterback to the mix, and maybe he still will. But if he doesn’t, it might be a good idea to start praying for Rodgers’ 34-year-old body to make it through the season unscathed. 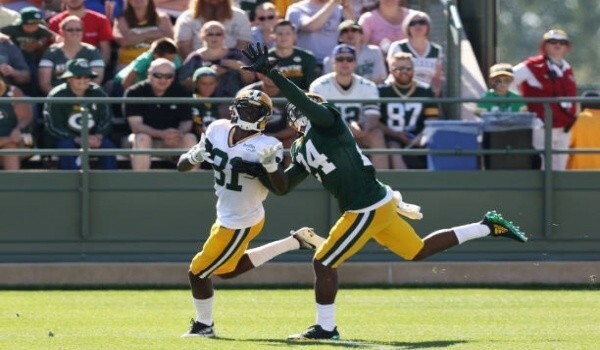 WIDE RECEIVER – While the decision to release Jordy Nelson was correct, that leaves the offense without a legitimate starter opposite Pro Bowler Davante Adams. Gutekunst showed some mild interest in Sammy Watkins and Allen Robinson but quickly backed off when things got too pricey. That leaves Geronimo “Mr. 4.67” Allison as the frontrunner for the job. So much for adding speed to the position. Expect the Packers to use a day 2 draft pick on a wide receiver, but don’t expect that player to make an immediate impact. You’d have to go all the way back to Sterling Sharpe in 1988 to find a rookie who was more than just a complementary piece in his first season – and that includes some really talented players (Robert Brooks, Antonio Freeman, Donald Driver, Greg Jennings, James Jones, Randall Cobb, Nelson, and Adams). RIGHT GUARD – Journeyman Justin McCray would likely be the starter if the season started today, but he’s more a jack of all trades than a master of one. The offensive line survived just fine in 2017 with 34-year-old Jahri Evans at the position, and there will probably be a similar stopgap veteran available either before or after the draft. In truth, having a mediocre starter at this position isn’t that big of a deal – unless there’s an equally mediocre starter next to him at right tackle. And that brings us to the next potential problem. RIGHT TACKLE – Bryan Bulaga has been solid as a rock ever since taking over the position from Mark Tauscher in the middle of the 2010 season, but he’s coming off yet another serious injury (torn ACL) and there’s no guarantee he’ll be ready for the opening game. And even if he is, there’s no guarantee he’ll be the same player. Right now, the backups at the position are Jason Spriggs and Kyle Murphy. That would be concerning enough even if both unproven youngsters weren’t coming off their own surgeries. The thought of starting McCray and either Spriggs or Murphy in week 1 should only make fans say their prayers about the health of Rodgers even louder. On a positive note, the Packers have been able to find solid rookie starters in the middle rounds of recent drafts. They could sure use another David Bakhtiari or Corey Linsley. EDGE RUSHER – Help in this area was always going to have to come in the draft. Teams seldom let good pass rushers hit the open market, and when they do, they cost a fortune. You’d think it’s a certainty that Gutekunst will spend either a first or a second round pick on an outside linebacker, but that’s what we all thought the past two years. Instead, we got Kyler Fackrell and Vince Biegel on day 3. But with so many questions in the secondary, getting pressure on the quarterback is no longer a luxury; it’s a necessity. And let’s hope the defensive coaches aren’t counting on Wilkerson to be a difference maker. While he’s better over a tackle than over a guard, nobody is going to confuse the 28-year-old former Jet with Julius Peppers. CORNERBACK – Even with the addition of Williams, this still might be the worst collection of talent I’ve seen at the position since 1991 (I’m thinking of you, Vinnie Clark, Joe Fuller, Jerry Holmes, and Roland Mitchell). Only Williams and Kevin King are even guaranteed to be in the league after Labor Day, and the former just turned 35 and the latter is coming off shoulder surgery. It’s likely the Packers will use yet another high pick or picks on a corner in next month’s draft, but Gutekunst would be wise to sign another veteran. And If he doesn’t make a run at Bashaud Breeland, all that’ll be left are the Davon Houses of the world. Let’s be realistic, Hall of Fame GMs Ron Wolf, Bill Polian, and Bobby Beathard could be running next month’s draft and the Packers still wouldn’t be able to fill all of the holes on the current roster. And I didn’t even mention safety, where the team will rely on unproven Josh Jones to replace longtime starter Morgan Burnett. 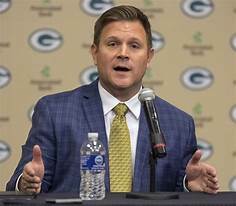 Simply put, Gutekunst needs to keep being aggressive when it comes to acquiring veteran players if he wants to go into training camp with a roster that looks more like American cheese and less like Swiss.